I haven't really been planning any posts for ages for various reasons, but when Keren David, one of my favourite YA contemporary writers, got in touch with me to ask if she could guest post I jumped at the chance. I'm super-intrigued to read Stranger, her first foray into historical fiction, which takes place in Canada in 1904 and 1994. Where do you get your ideas from? It’s the question that most authors dread, but I’ve never had a great problem with it. Until now. For most of my books, the ideas have come from news reports. When I Was Joe, my debut, came from an item on the BBC about a boy in witness protection. All the others were similarly inspired, apart from This is Not a Love Story, which came about because I wanted to write something set in Amsterdam, my home for eight years. Stranger, my new book, is completely different. I have no clue about where the idea came from, because it has been simmering away for nearly all my life. At some point, as a child, I decided I wanted to write my own book. I started telling myself the story in bed at night. Every night I’d add a little bit more. It was unformed and undeveloped. There was blood, there was a murder, and a suspect full of fear and confusion. He was desperately afraid of telling his story, but it was only by telling it that he could win his freedom. It was a story about distrust, abuse of power, extreme emotions. And it was one I could never quite let go. For years, if sleep eluded me, I would let those feelings into my brain and sleep would inevitably follow. And then, in 2012, I decided to try and write the story down. But I needed a new narrator - Emmy, the girl who finds a ‘wild’ boy, naked and bloody on the edge of the forest. I needed a setting - Canada seemed to choose itself - and a time, as this didn’t feel anything like the contemporary stories I’d written before. It’s taken six years and many, many rewrites, but at last it’s done. 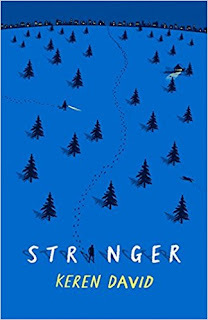 Stranger is published this week. Some of the ideas came through the storylines that emerged. 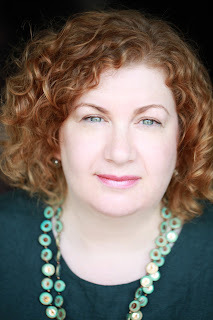 Stories about women, their bodies, their choices, their destinies. But at its core, this is a book whose origins were just there in my psyche. As such it’s very precious to me, and, still, something of a mystery. There’s a lot of me in all of my books. But this one goes deeper than all of the others. 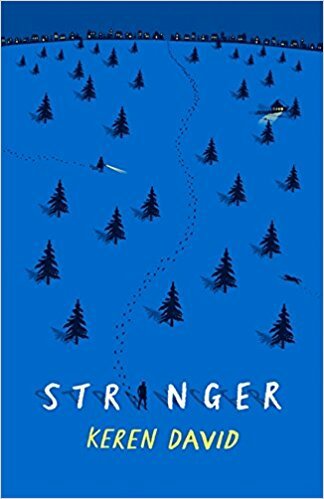 Stranger is published by Atom, and released on 5th April 2018. So excited to hear about Karen's new book! Can't wait to read it!